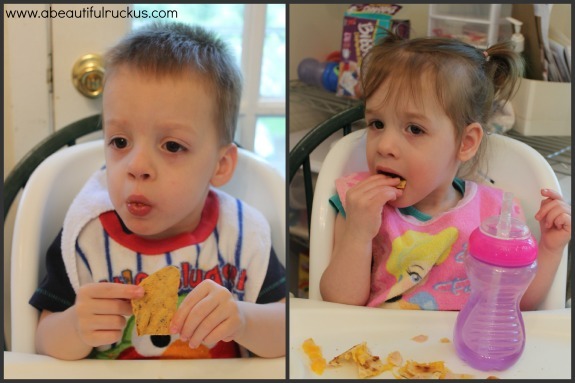 A Beautiful Ruckus: Green Giant Veggie Chips...Wait, What? 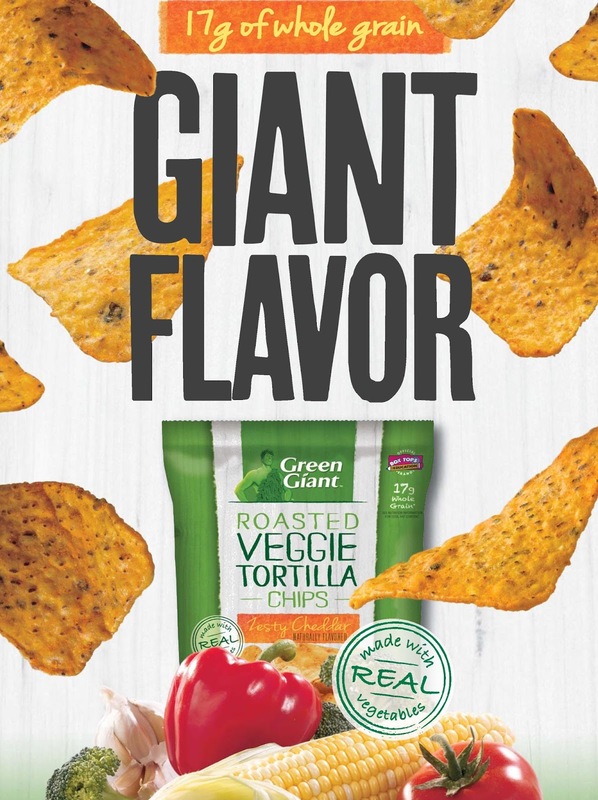 Green Giant Veggie Chips...Wait, What? A couple of months ago, our local grocery store had an awesome rebate promotion for some new items that had recently come out. The Green Giant Veggie Chips were on the list, so I grabbed them. If you follow me on Instagram, you've already seen me rave about them. True story. I just looked it up. I posted photos of the chip bags eight weeks ago according to the date stamp. Well, not these exact chip bags, because the ones from back then are long gone, but hopefully you follow that line of thinking. 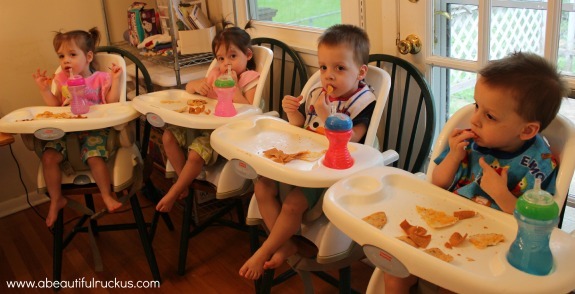 Of course, there is only one photo there because my kids devoured them in one sitting. Both bags. One lunch. Not kidding. Then a couple of weeks ago, I was asked if I had any interest in trying Green Giant Veggie Chips and writing a review on them. Seeing as how my family already loved them, it was extremely easy to agree to the review. Plus, they offered me two more bags, so I was all about it! 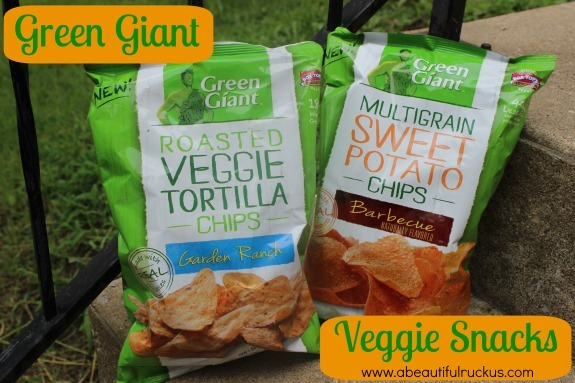 We had the chance to try the Green Giant Garden Ranch Roasted Veggie Tortilla Chips and the Barbecue Multigrain Sweet Potato Chips both times. Back when I originally brought these home from the grocery store, I only did so because they were free with a rebate. I'm not a big fan of healthy items masquerading as junk food, since I think they so often fall short. In fact, if memory serves me right, I made my husband try them first so that he could tell me if they were "safe" to eat (a.k.a. eatable). What a delightful surprise! I didn't think "veggie" and "chip" went together, but Green Giant has really nailed a wonderful snack. Not only are the unashamedly healthier than regular chips, they actually taste good. Crispy and crunchy as a chip should be. Fun flavors that balance and mimic their junk food counterparts. Veggie flavors that are played down and not overwhelming. If they didn't put these in a bag with the words "veggie chips" on it, I wouldn't know they were veggie based! Ellie gave it her best munch, carefully trying each flavor separately to see what she thought. Elijah tests things the exact opposite of his brother. He took both flavors, smashed them both in his mouth at the same time, and waited anxiously for the bag to come back around again. Much to his chagrin, I was not fast enough. Abby is always my picky one. I hold her responsible for at least half of the grey hair that I have. If Abby decides something is worth eating, that is the equivalent of winning an Oscar. Ask her occupational therapist, and she will agree with me. Just don't ask Abby, because I'm pretty sure her mouth is full with the last of the crumbs from the bag. While the chips aren't a replacement for an actual plate of produce, they do have veggies and 17 grams of whole grains in every serving, providing a much healthier snack choice than my other go-tos. 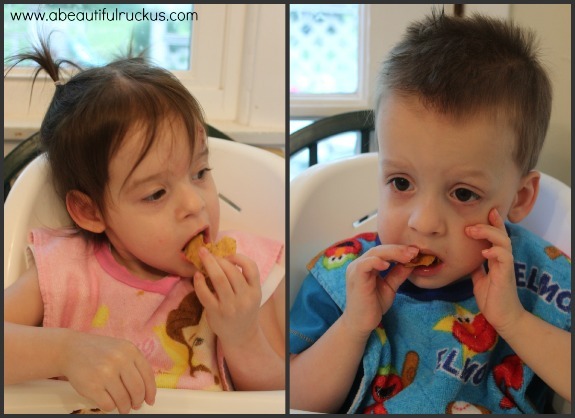 Green Giant Veggie Chips: Quadruplet Tested, and Approved! They were really good! What a nice surprise to find a healthier chip that didn't taste "healthy." And I haven't gotten my rebate back yet. They said six to eight weeks, so...maybe I should check into that. This is awesome. I saw them in the store the other day and contemplated getting some for Hayley's school lunches. I am definitely going to get some now. You should! Except, buy two bags, because you'll probably end up eating one since they are so delicious!